Home / Archive by category "Asylum Interview"
Have you suffered persecution due to Race, Religion, Nationality? You maybe eligible for Asylum. If you are eligible for asylum you may be permitted to remain in the United States. 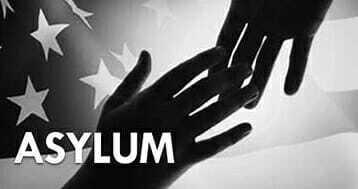 To apply for Asylum, file a Form I-589, Application for Asylum and for Withholding of Removal, within one year of your arrival to the United States. The clash between the migrant caravan and U.S. authorities along the Mexican border in recent days highlights a contentious topic in the immigration debate: asylum laws. Federal law recognizes the right of asylum, and tens of thousands of refugees settle in the U.S. every year. However, proponents of stricter immigration laws say that the asylum system is being abused by migrants, such as the people traveling in the recent caravans. I filled my Asylum application, now what? If you are one of the asylum seekers in America waiting years for an asylum interview, you may be wondering how you can best use this time to prepare yourself for your interview. Apply for a work permit: Remember, 150 days after an asylum applicant files her asylum application, she can apply for a work permit, and once her work permit is granted, she can begin working. After you interview at an asylum office, you will not get a decision on the same day. Instead, you will be given a document indicating how you will get your decision on the case. This period of being suspended is no doubt extremely stressful, and this blog post provides information about what you might encounter on the return date and what it means.